Welcome back to my blog, friends! 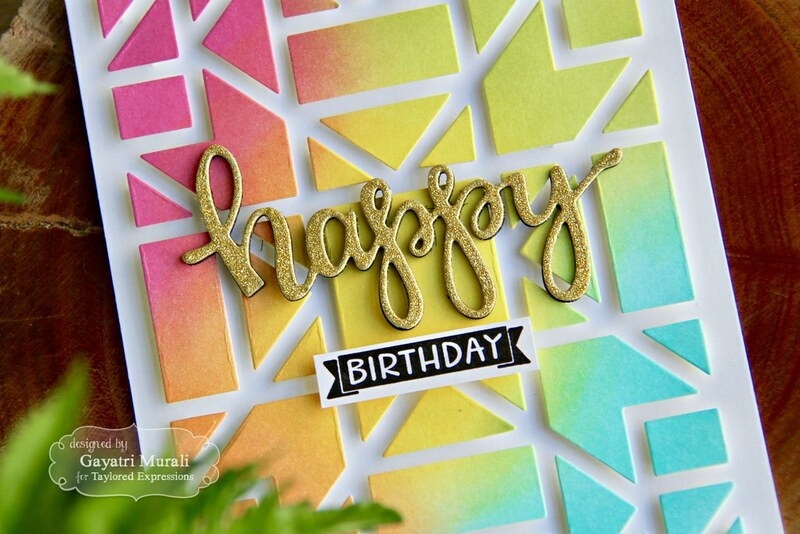 I am sharing with you a colourful birthday card using Taylored Expressions stamp set and dies. I picked up this idea from Laura Bassen. I love how she uses the negative pieces of a cutting plate on her card. I always feel those pieces are wasted and I collect them to do something about it until one day when I start to clean up, they go into the bin. On my card below I used Taylored Expressions Quilted cutting plate and its negative pieces to make this card. I sponged a Sugar Cube cardstock panel using TE Candy Corn, Cookie Monster, Lemon Meringue, Granny Smith and Lollipop dye inks. These inks are awesome to blend. They look spotchy in the beginning, so use light hand to sponge. But once dry, the paper absorbs the ink and makes it smooth and even. I then die cut this panel using TE Quilted cutting plate. I used Press and Seal to run over the cutting plate and press. Then, I carefully flipped the cutting plate with the die cut pieces still in its place. Some pieces will fall off, make sure you puzzle them back in its place. Cut foam adhesives into tiny pieces and adhered them on to all the negative pieces of the flipped over Quilted die cuts. 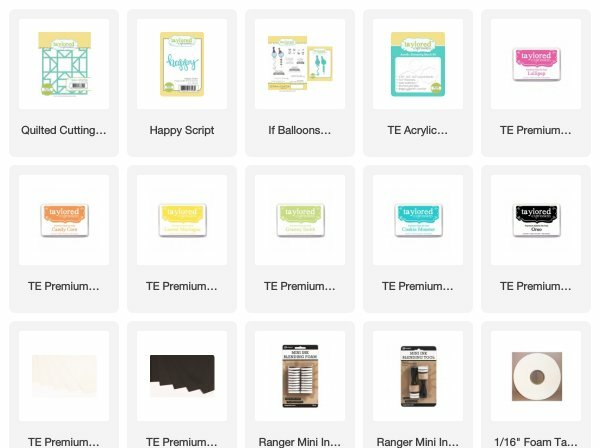 Remove all the backings from the tiny foam adhesives. This is a tedious process but well worth it towards the end. 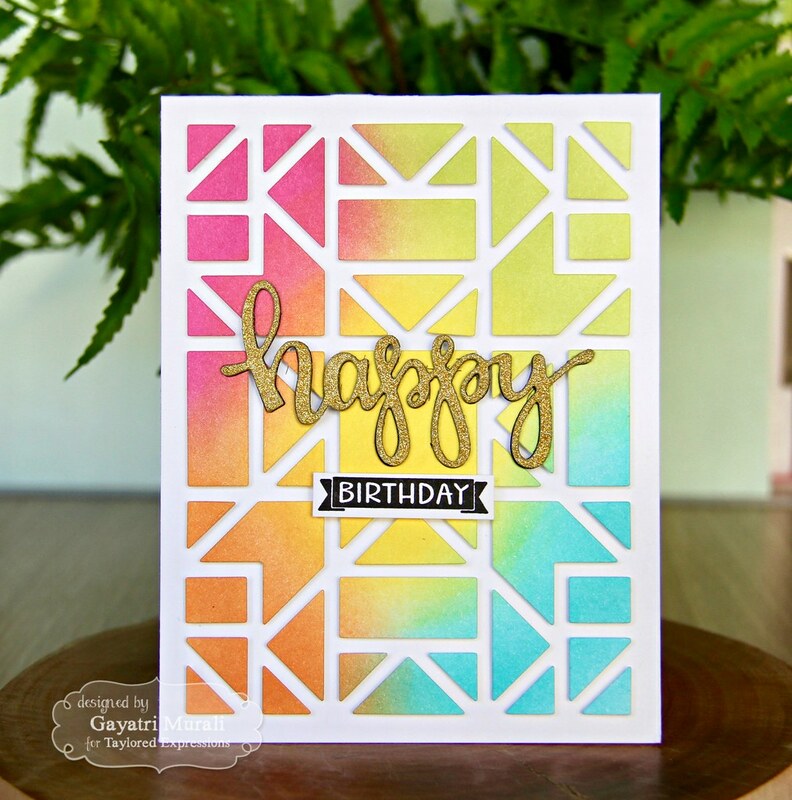 Make a card base using Sugar Cube cardstock. Flip over the press and seal with the cutting plate and die cuts in place carefully over the card front and press so the foam adheisve stick to the back front. Alternatively you can bring the card front over the flipped over cutting plate. Whatever floats your boat. I prefer the first method because I can see where I adhered the pieces and spacing around it. Now carefully remove the cutting plate along with the quilted die cut leaving the negative piece adhered on the card front. You get the beautiful inked negative pieces adhered to the card front with dimension. 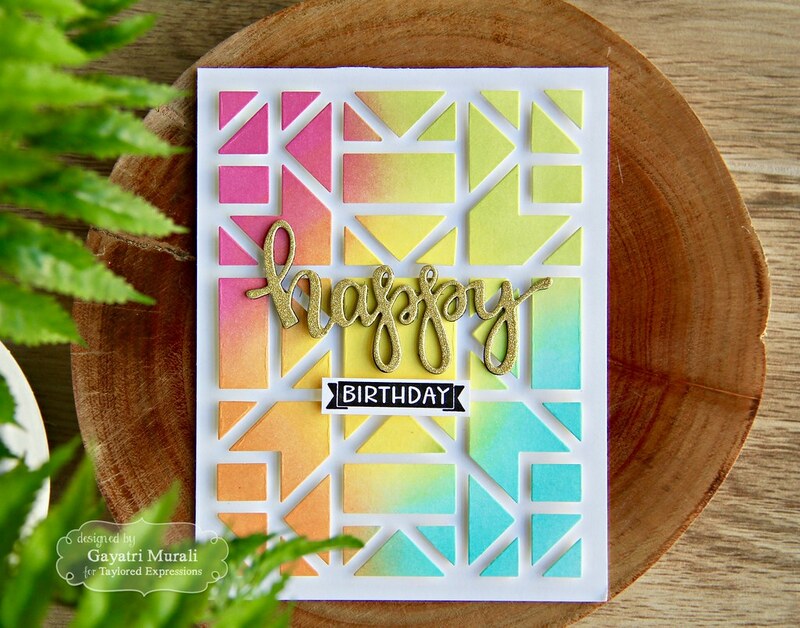 The quilted die cut can be used on another card. For the sentiment, I used Script Happy die. I die cut two using black cardstock and one using gold glitter cardstock. I stacked and glued them with the top glitter die cut slightly offset to get the shadow effect. The smaller sentiment is from If Balloons Could Talk stamp and die combo. I stamped the birthday banner using Oreo hybrid ink, trimmed and adhered below the Script Happy sentiment. No embellishments needed. 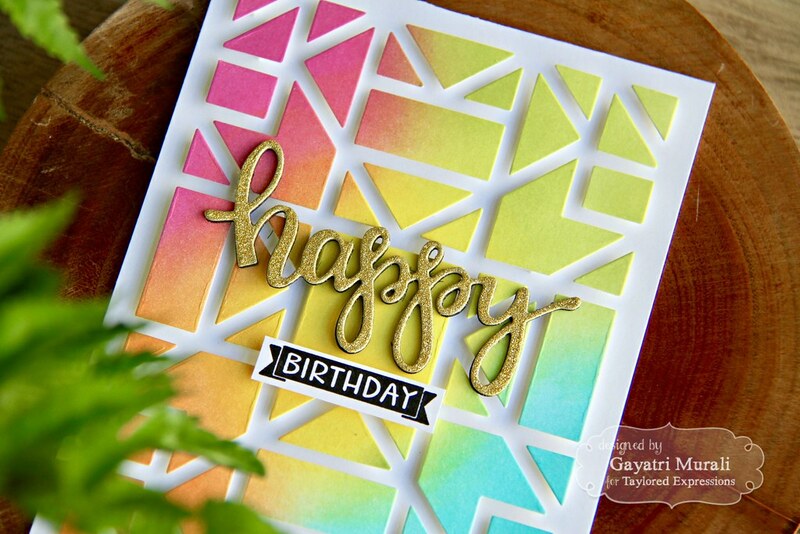 The colours and pattern of the negative die cut is the highlight of the card. Thank you so much for stopping by my blog today.